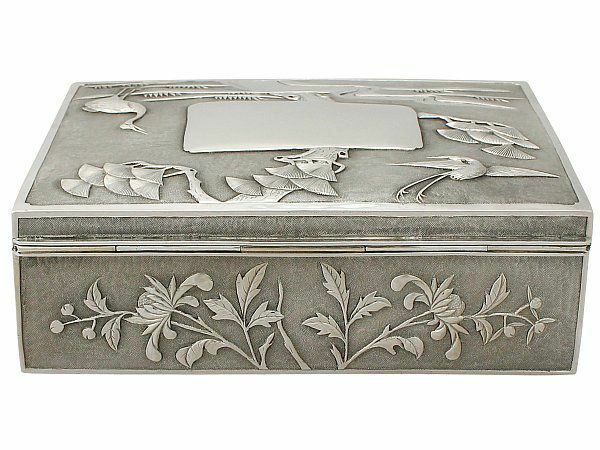 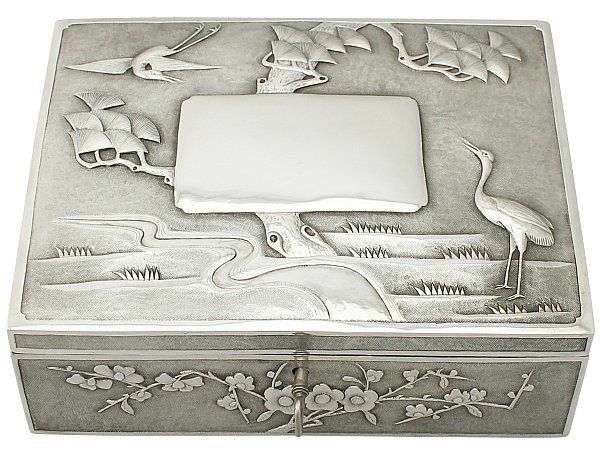 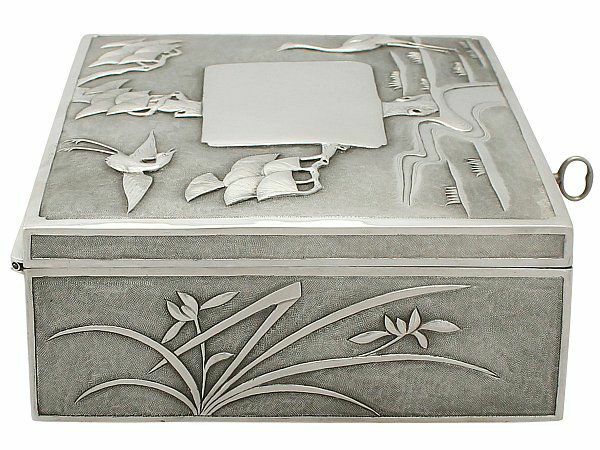 This exceptional antique Chinese export silver (CES) locking box has a rectangular form. 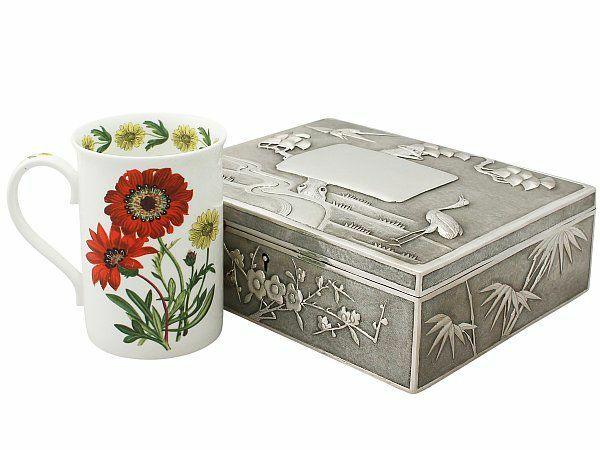 The surface of this antique box with lock is embellished with a chased decorated matte texture with a variety of embossed and chased decorated stemmed floral and foliate designs to the sides, including cherry blossom and larch arrangements. 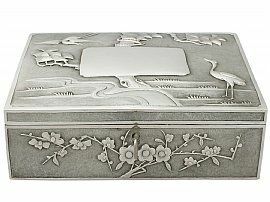 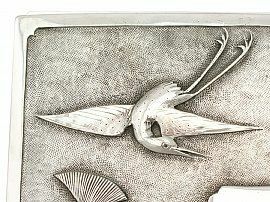 The upper surface of the cover is ornamented with an embossed and chased decorated scene depicting a grassy terrain surrounding a tree with fan shaped leaves by the side of a winding stream, with a traditional Chinese crane style bird design stagnant to one side and in flight to the other. 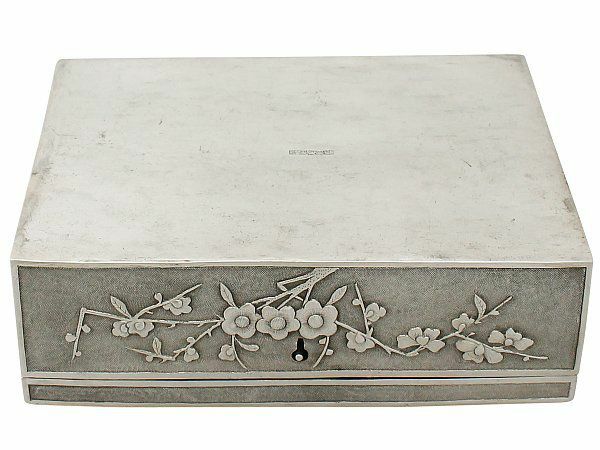 The cover is further embellished with a central rectangular vacant cartouche. 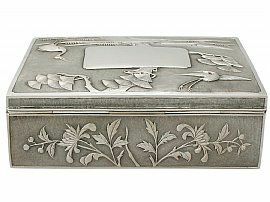 The decoration to the box is encompassed with a plain paralleling border; the border to the cover incorporates a simple incurved design to each corner. 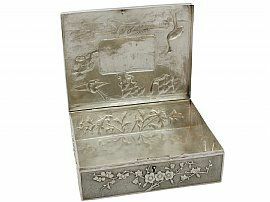 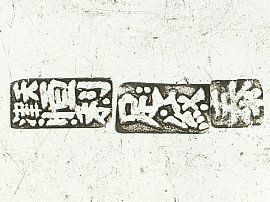 The underside of the box is plain and unembellished, apart from the Chinese character hallmarks. 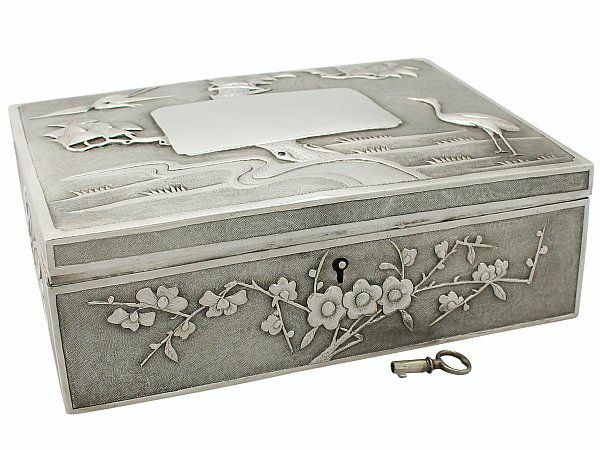 The box retains the original fitted fully working lock and key. 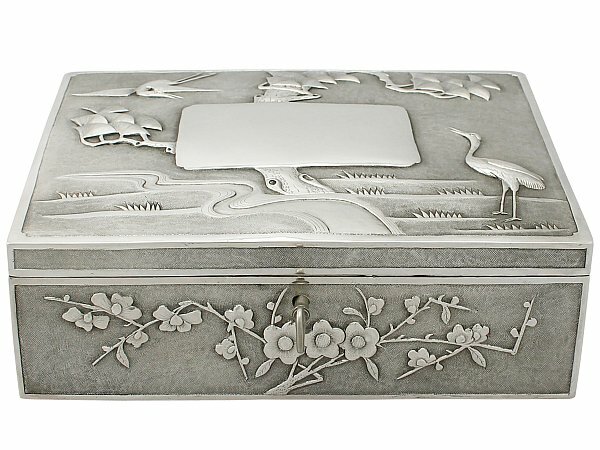 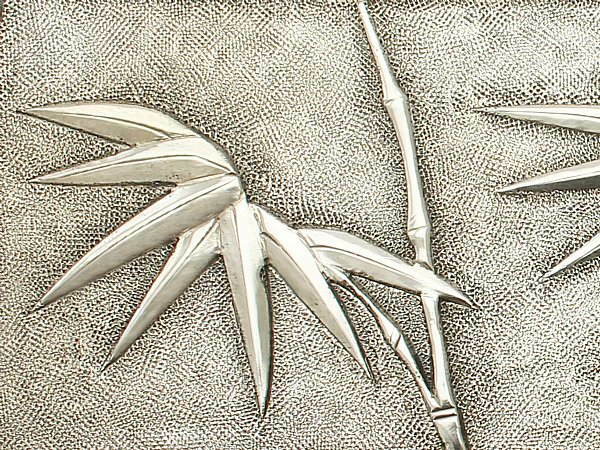 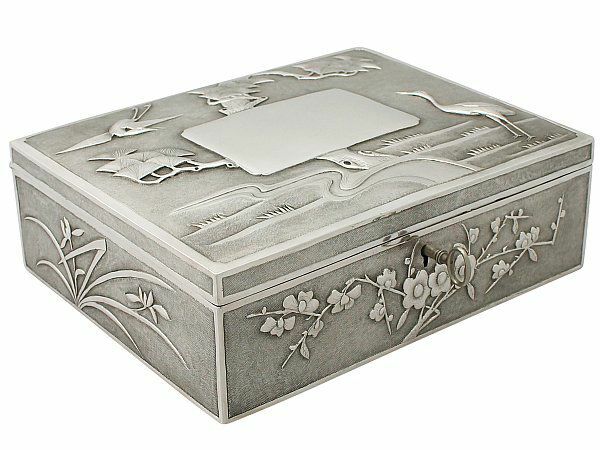 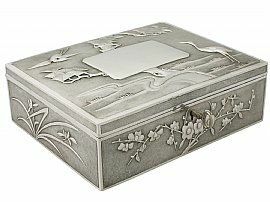 This Chinese box was crafted by Heng Li, a silversmith considered to have been one of the finest of the Tientsin makers; Tientsin had one of the oldest traditions of silver making in China. 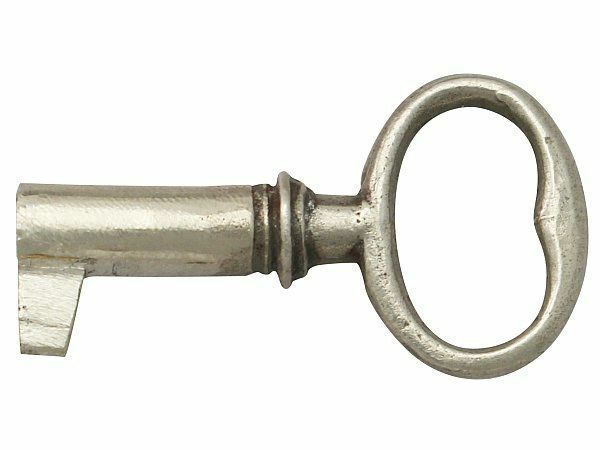 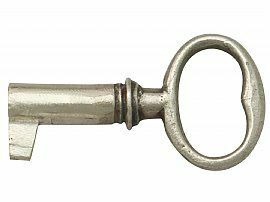 This antique box with lock is a very good gauge of silver, excellent quality and in excellent condition. 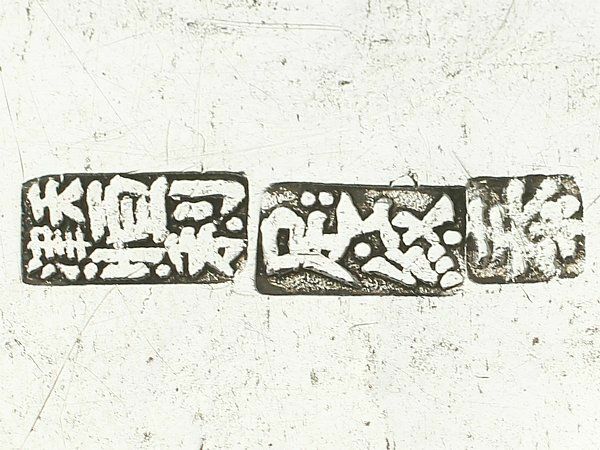 The character marks/hallmarks struck to the underside are all very clear. 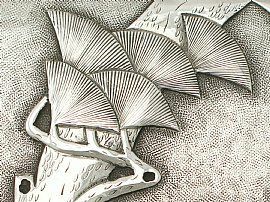 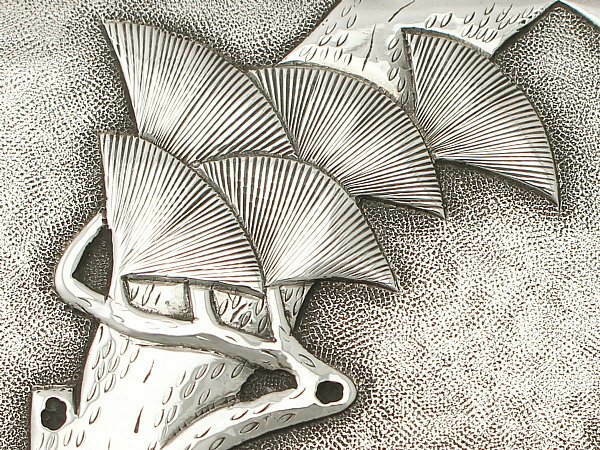 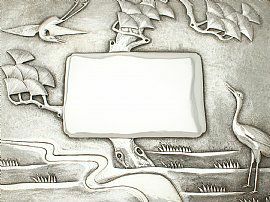 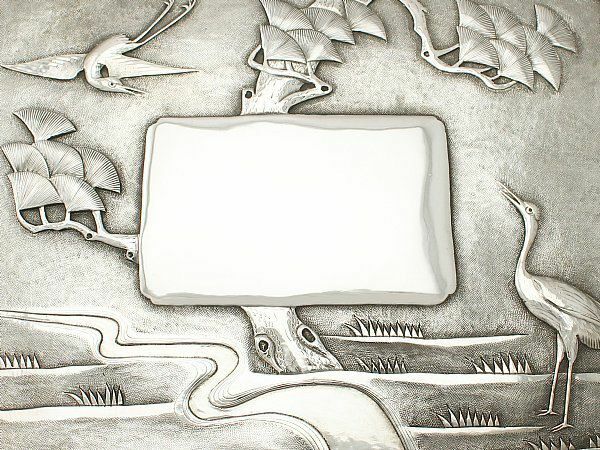 Reflections in photographs may detract from the true representation of this piece of antique Chinese export silverware.